Pawn / Loan on your Aston Martin Classic car - Auction based valuation ! We’re often asked by customers “Is it possible to pawn my Aston Martin classic car at your London shop?” and the simple answer is yes. Owners of classic Aston Martins are doubtless proud of their pieces of automotive history, but should you require loans on Aston Martin classic cars, who do you turn to? The answer is New Bond Street Pawnbrokers. We’re specialists in providing loans on classic Aston Martin cars at our award winning London shop, as well as a wide variety of other classics and collectables. If you need to attain capital, your classic Aston Martin could just be the key. We’ve dealt with a wide variety of the world’s top cars, including Rolls-Royce, Bentley, Lamborghini, Ferrari, Porsche, Mercedes-Benz, and so many more besides. That puts us in a uniquely experienced position to provide you with the best possible loan on your Aston Martin classic car. Call us today or contact us via our web contact form to learn more. Lionel Martin and Robert Bamford are to be thanked for the founding of Aston Martin, way back in 1913. However, the cars the majority of people associate with Aston Martin came under the David Brown era, who took over the company in 1947. The iconic and highly collectable series of “DB” cars bare his initials. The DB2, DB 2/4, DB MK III, DB 4, DB 5, and DB 6 all enjoy revered status among car lovers everywhere. One can’t mention Aston Martin without also mentioning James Bond. He has been seen driving not only the DB4 in Thunderball, the DB5 in Goldfinger, but also a later V8 Vantage in The Living Daylights. This means that if you’re looking for loans against Aston Martin classic cars there’s plenty of caches to rely on. Many owners are considering to “Pawn my Aston Martin classic cars” due to their beautiful lines and enduring appeal. However and whenever you’re considering to pawn your Aston Martin classic car, contact New Bond Street Pawnbrokers first and foremost. We’ll arrange with you a meeting so we can appraise your vehicle and determine its value – we’ll do this via a number of different factors. Its condition and mileage, of course, play a part. If you have a vehicle with a special provenance, that too will enhance its market value and ultimately how much of a loan you can secure. We don’t deal in hidden charges at New Bond Street Pawnbrokers. A clear and straightforward agreement is what we seek to achieve. That means the amount we agree upon will be the amount that you find in your bank account. Loans on classic Aston Martin cars shouldn’t be a chore, so we seek to make the process as easy as possible in the comfort of our award winning shop in central London. During the loan terms, your classic Aston Martin will be stored in our secure facility to ensure it remains in the same condition that you left it with us in. When the loan is paid off, you’ll get your vehicle back – it couldn’t be easier, simpler, or more straightforward. 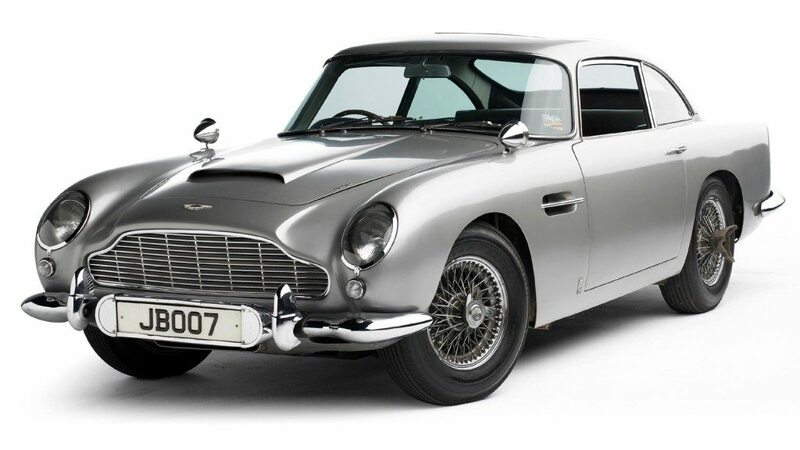 If you need to capitalise on some of the considerable value of your classic Aston Martin and require loans against Aston Martin classic cars, call New Bond Street Pawnbrokers today or contact us via our contact form. We also offer loans against the following assets: diamonds (including GIA Diamonds), fine jewellery, classic cars, fine wines (including Pétrus Wine), fine art (including Banksy and Lichtenstein) and fine watches as Patek Philippe,Audemars Piguet or Rolex, antique silver, Cartier JewelleryandHermes handbags.